pit have been used as folk remedies for centuries. C is higher, as it ripens the amount of beta carotene (vitamin A) increases. Peel out the mango skin and cube the flesh, excluding the inner seed. In simple words, take the mango flesh and cut it in small cubes/pieces. Save some finely cut cubes separately for garnish. Push the remaining cubed mango into a blender/juicer with the milk and sugar, and then pulse it till you get a smooth mango pulp/paste. Now add the hung curd or yogurt to it and give a strong stir so as to blend them well. For ease, you can use a blender for this too, but I prefer using a spoon to do that, because blending hard and fast can sometimes cause the curd to leave butter if it is too chilled. 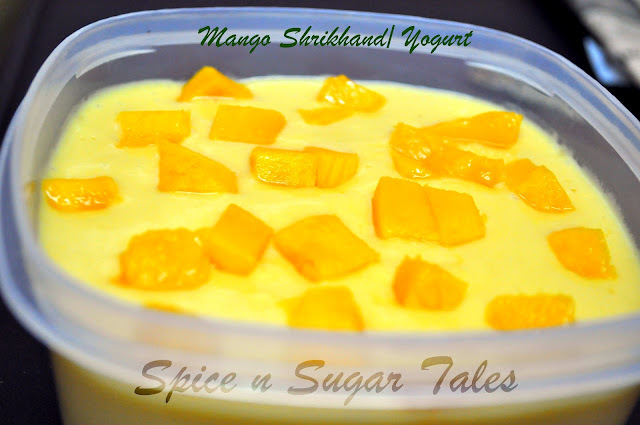 Ornament the Mango Shrikhand/Yogurt with the saved mango delights/cubes. Always prefer fully ripe mangoes for preparing this which are sweet in taste. If you are using home-made curd, please make sure that it is fresh and not sour. Hang the curd in a muslin cloth for 1 hour prior to use, for getting the perfect creamy texture. Adjust the sugar addition as per your taste and based on the glucose the mango already carries. 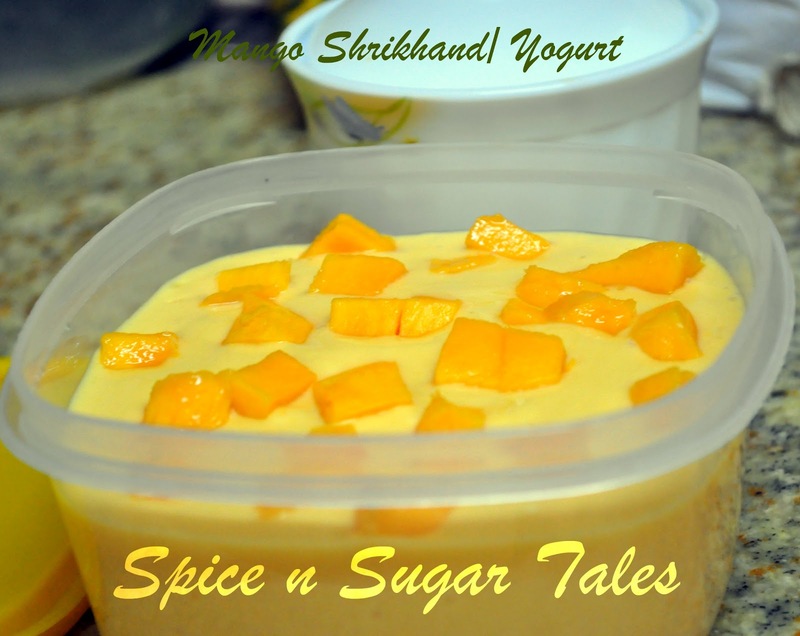 yum shrikhand! made even sweeter by the little story that accompanied it!strong women are always a source of pride! wow...looks so tempting, loved its vibrant color...beautiful post! thanks dear for linking to the event..
That looks soo yummy. Your little story behind mangoes was fun to read. Thanks for linking up! 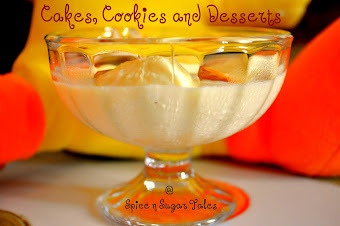 Delicious & tempting, sounds so easy & quick! Inviting and tempting bowl. Thx for linking to the event. This's so tempting! I usually do shrikhand with berries. 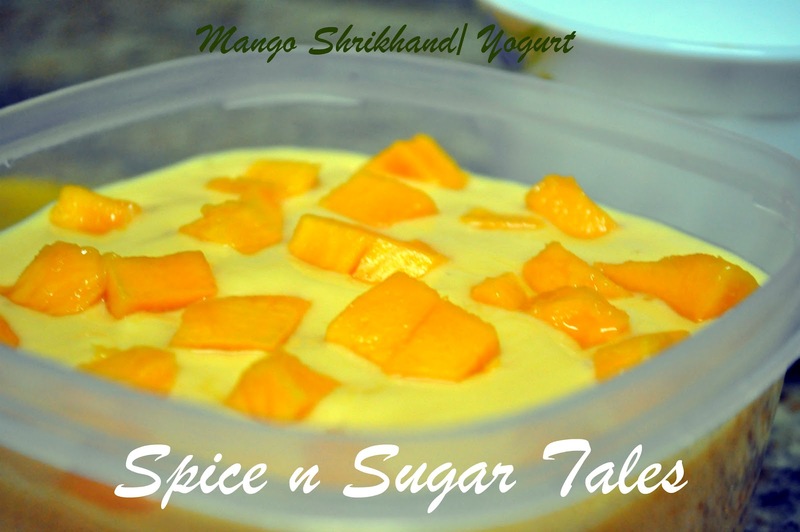 Your way of blending mango & mixing with yoghurt sounds really delicious! lovely color and tempts me a lot !! Thanks for linking to the event ! !